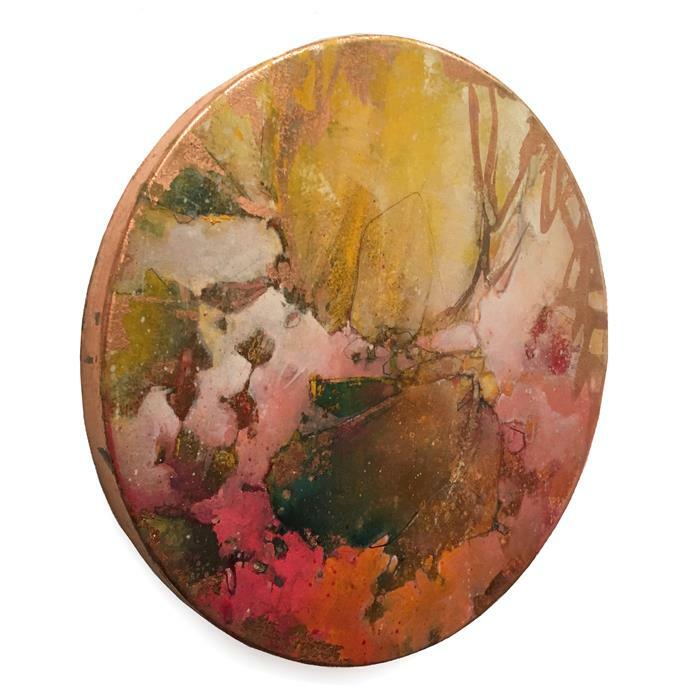 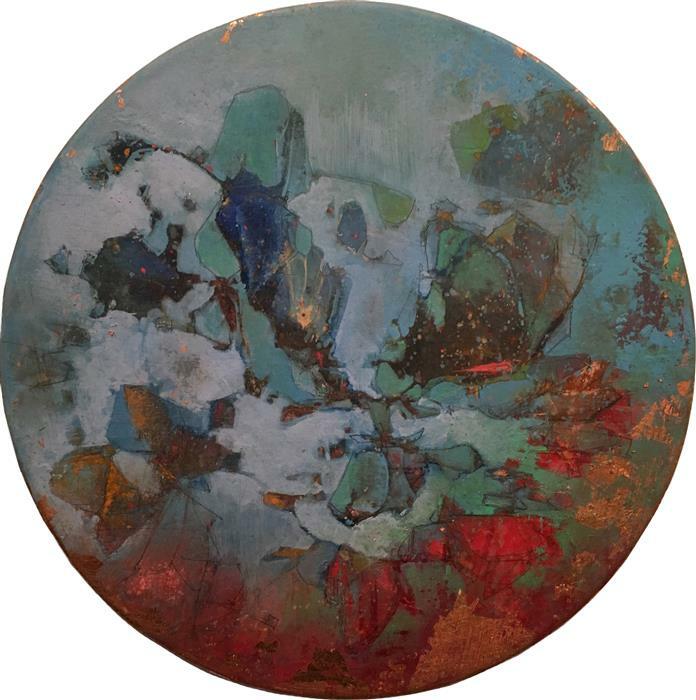 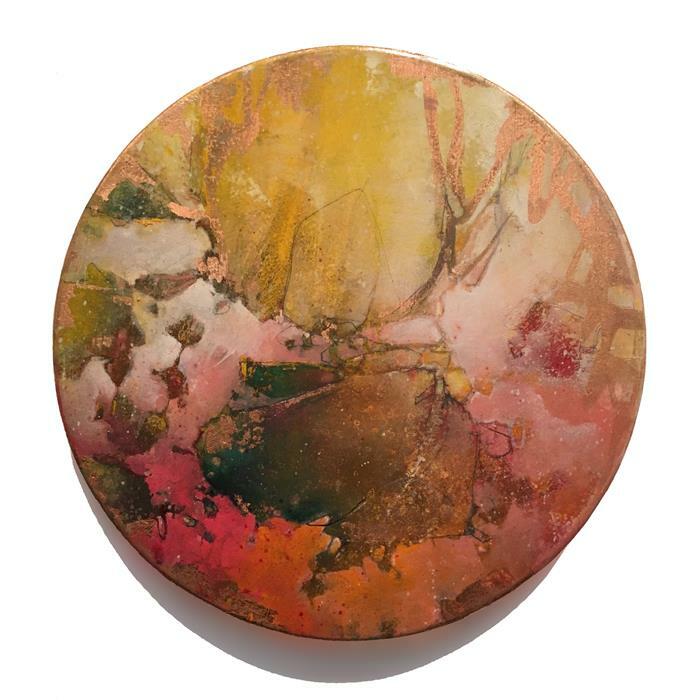 "We Lived, Felt Dawn, Saw Sunset Glow" is a 12" in diameter oil and copper leaf painting on a round birch panel. 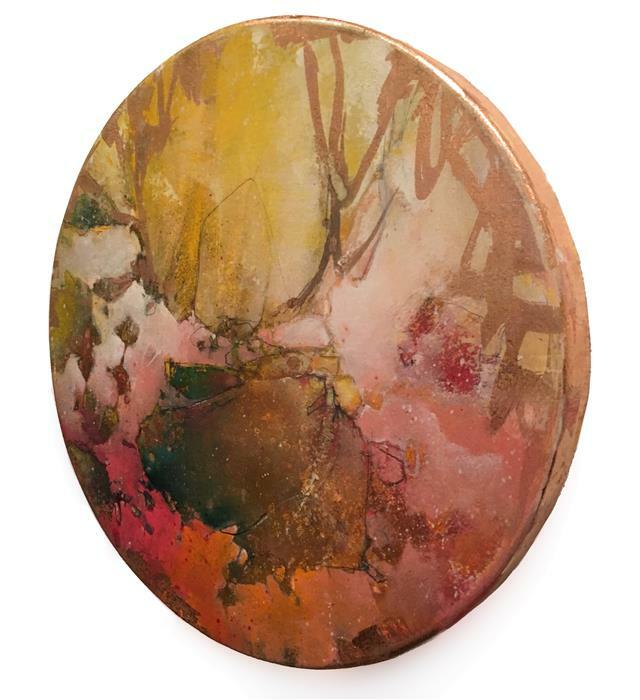 The sides of the painting are also copper leafed. 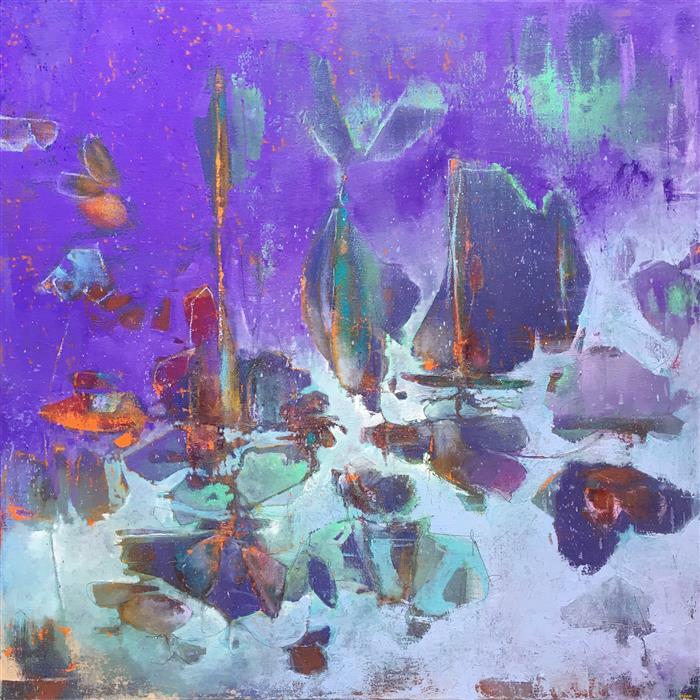 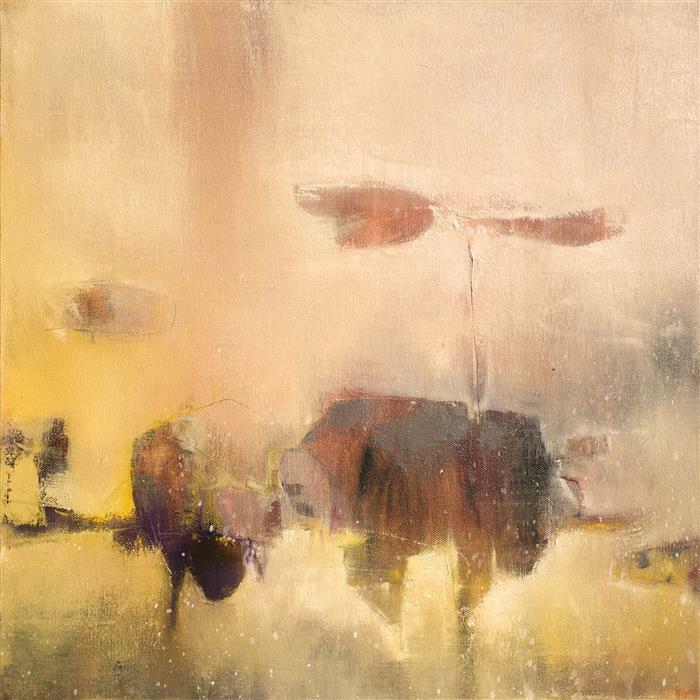 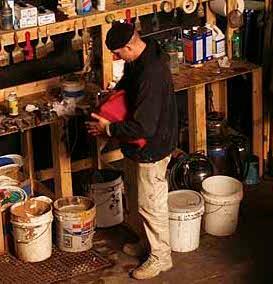 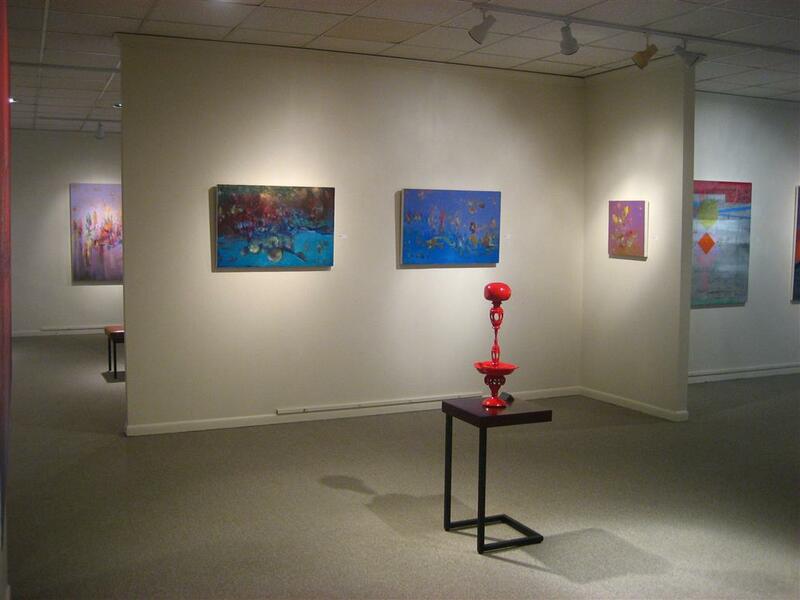 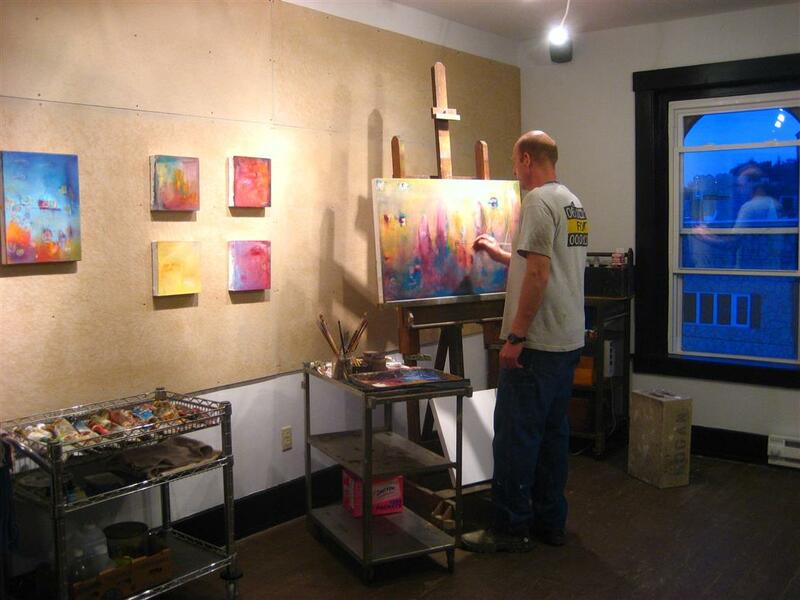 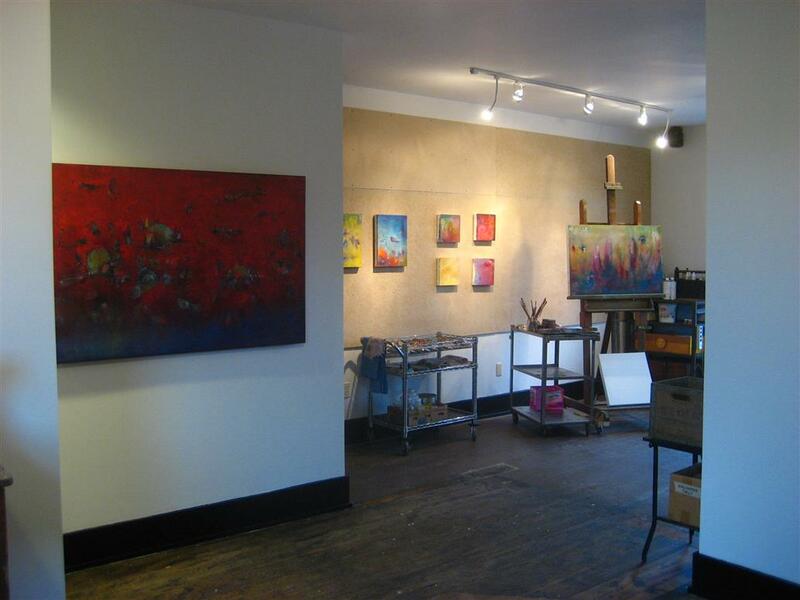 My oil paintings evolve, hyper consciously, with the use of color and shape to describe environment and energy. 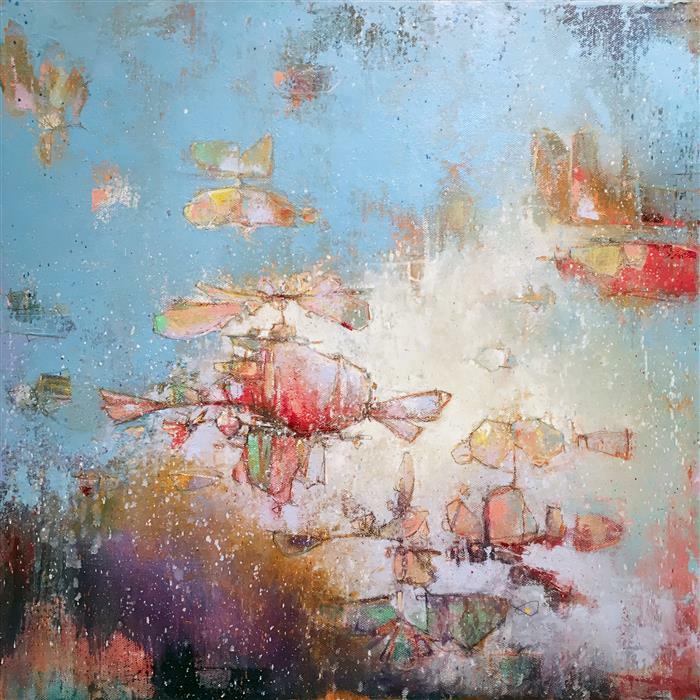 Considered abstract surrealism, I layer color, often using interference pigment, to create illusionary depth.